• To provide a strong place for truth in our society and to awaken people to the power of living in truth. • To support honest, sincere efforts in society — morally, financially, legally, politically and physically. Why the Army of Truth? Presently, there is no one to whome an honest man can go to and seek justice in time. The present-day policeman is a passive onlooker of crimes perpetrated under his very nose. He is neither morally erect nor physically strong. This goes for the whole police force, with rare exceptions. The legislators are corrupt and confused. The courts are a mess with their long-drawn-out procedures and delays. Generally, the whole society is in chaos, with everyone pleading powerlessness and inability to organise a force powerful enough to turn the tide. We believe that such helplessness has come about because we have stopped believing that honest dealings can work. We believe in breaking the queue. We believe that following any regulation is a waste of time. If you can get away with bribing in order to earn more money, why not? The general belief is, ‘Since everyone is corrupt, I will only make fool of myself if I don’t follow suit’. It is our herd mentality that does us in. Worst of all, we believe that there is not enough for everyone to live happily and so we had better grab as much as we can. What is the Sathya Sainik’s work? • To understand that living in Sathya gives you power and brings prosperity to everyone. • To realise that there is enough for everyone to live happily. After all, ‘Ek Roti and Ek Longoti’ and the ability to see God in everyone is all that is required. • To learn to live not by taking but by giving. • To learn to be open and the same, i.e., to be consistent in action, speech and thought. • To stand for truth at all costs. He stands for truth at all costs. He stands for truth and for not taking anything without the consent of the concerned person. In addition to the above, he lives on absolute necessities, without storing things for future security. He stands, in addition to the above, for shanti (peace). In addition to the above, he lives on what is offered and has no belongings. He does not keep even ideas to himself and copy rights them for his own security. This is purely a volunteer army: There will be no payments to workers. Some full-time workers may receive assistance from their senior officers in the Guru–Shishya parampara. There shall be no demands for pay, facilities etc. at any level. Everything works by way of understanding, inspiration and request. Nobody is higher or lower. Honesty — truth — is the sole controller and power. Power naturally flows to the person who is able to offer himself more and in whom wisdom is present. Everyone respects his Guru and all the groups at all levels make all decisions by consensus. Every member belongs to a group of six at the grassroots level. One (or even two) of them may be selected to represent the base group level 1 in group level 2. Each group 1 member is to enrol more people and enlarge the group until they become 12, and then split up into two groups. Group level 2 consists of six members and not more. When the group 1’s under them become 72 members, two level 2 groups are formed. Until then, extra group 1 members are only invited as observers in the level 2 decision making. At the time of the split, which group 1’s are in which group level 2 is decided by the original group level 2. All meetings are open except those bodies specifically appointed for confidentiality reasons for a specific period of time by the apex body. Group level 3 is formed as in group level 2. Group level 4 is formed as in group 2. Group level 5 is also formed as above. Group 6 consists of 12 members, with possibly two or more from any level 5 group. Group level 5 people will select unanimously the group level 6. Similar procedure is used for selecting the 12 members of the higher levels. Each group and each individual has to act from their own freedom, and nobody is forced to take any action that goes against one’s conscience. Such conscience-related objections shall be speedily forwarded to the higher group for correction. The Guru is the individual counsellor and the group is the power to take action. It is hoped that people with attainment will naturally find themselves in higher positions. People with higher attainment are naturally respected in any decision-making process. People of higher attainment may be invited to important meetings for consultation. Step One: Request them to attend a meeting on introducing the Army of Truth and its basic functioning. Give them an introductory booklet to read and be ready for the meeting. Step Two: Ask them to actively participate by first enrolling more people to the Army as that is the primary solution. After they have enrolled six people, they get to attend a training camp on ‘How to attain inner peace through samadhi practice’ and silent retreats. This is a one-month programme of 3 hours per day. After step one, they continue to attend a weekly meeting of the Army to receive further instructions on the method of attaining inner and outer peace. They are given books by ‘Peace Pilgrim’. Step Three: They now take the SathyaNarayana Vrata to recognise the power of truth, after two months of meditation practice. Now they are a member of the Army of Truth and a part of group level one. 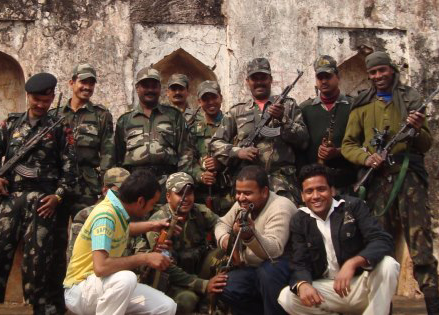 They devote at least 4 hours per week of seva work for the Army. Step Four: As they develop and are willing to take on committed responsibility, they rise to higher levels of sadhana and spiritual attainment. They learn to train themselves to be guides for higher sadhana. As they dedicate themselves, they will find the company of higher souls who will take them through with moral, financial and physical support. The whole process of training is continuous and lifelong. Life gets easier and easier as one does one’s sadhana and becomes more powerful. Peaceful inspiration and enrolment of a large number of people to the Army is itself the cure, and that is the primary role of the Army. Such living in TRUTH is what works.